Resources to help children maintain good mental health. The National Disability Insurance Scheme (NDIS) is the new way of providing support for children and young people with disability. As it rolls out in Queensland, children and young people can receive early intervention supports or support for leaving school from the NDIS. Find out how to apply for supports. Support is available if you are a young person experiencing an issue or a problem in your life. 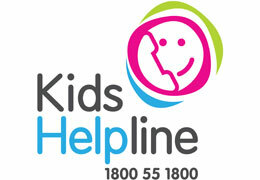 You can call Kids Helpline on 1800 55 1800, or get in touch with a web counsellor. You can also read stories other young people have shared about their mental health.